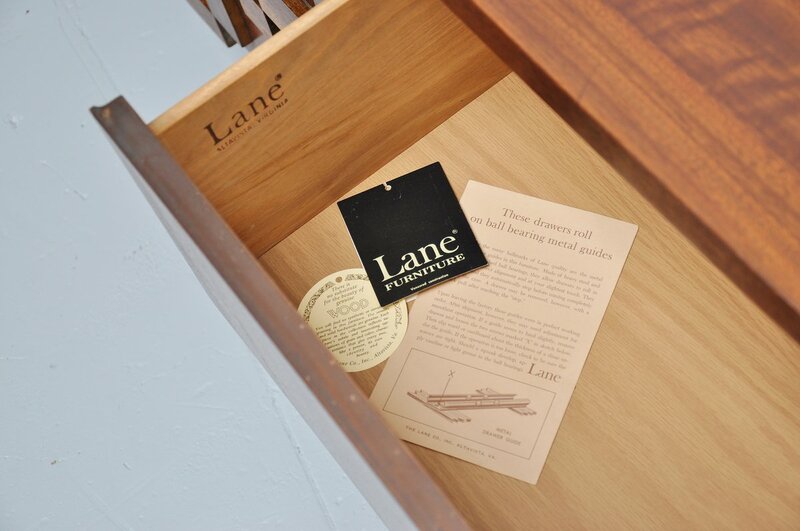 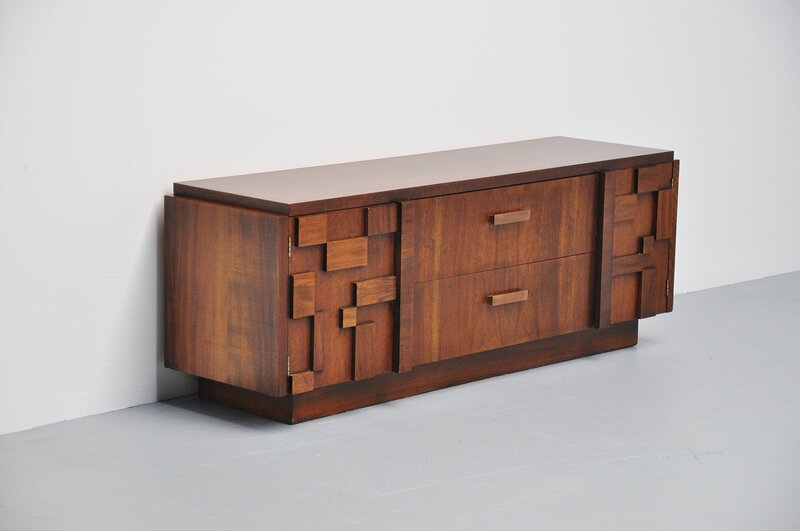 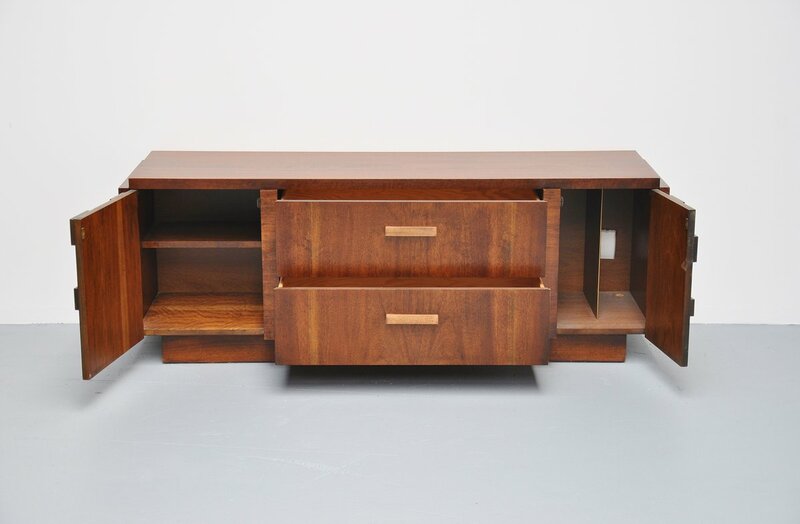 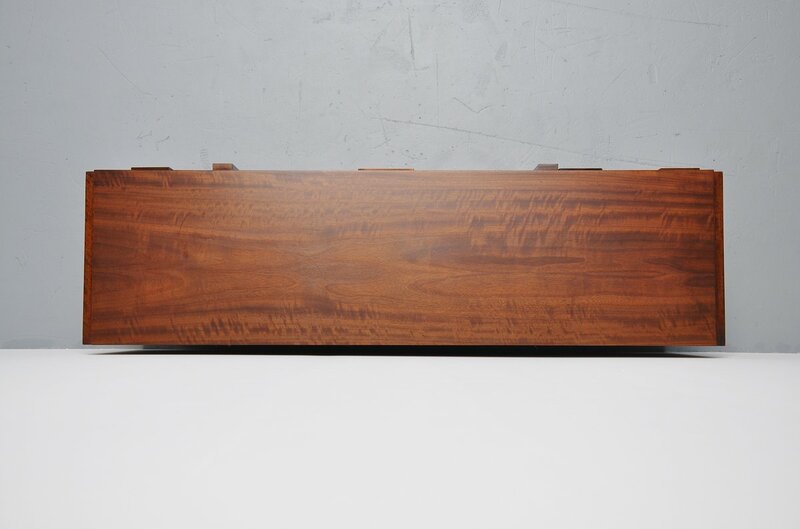 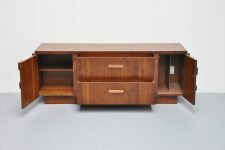 Very nice small credenza by Lande Furniture, USA 1970. 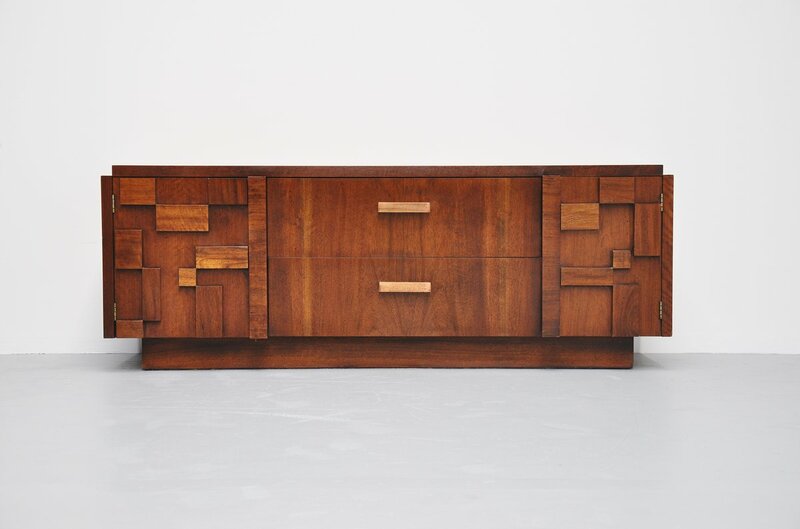 This is a hard to find piece in Europe, produced and sold on the USA only. 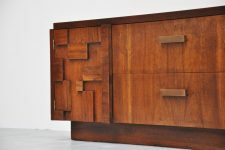 Only few pieces were imported in Europe. 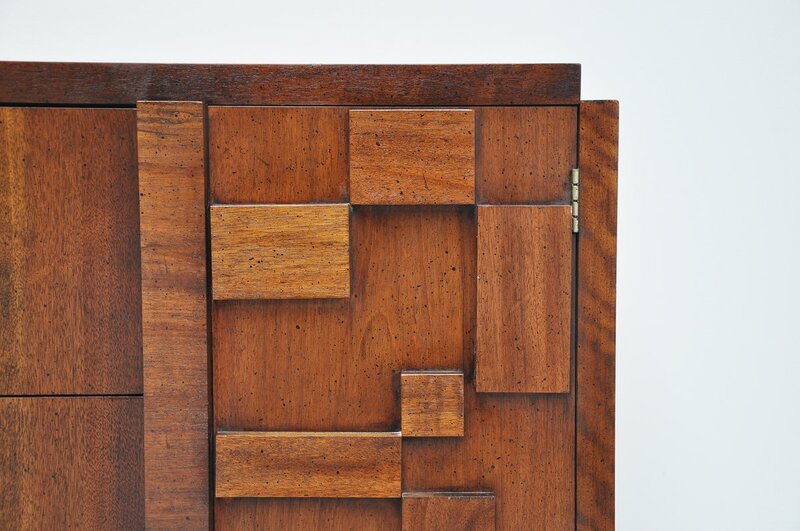 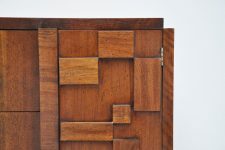 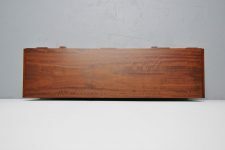 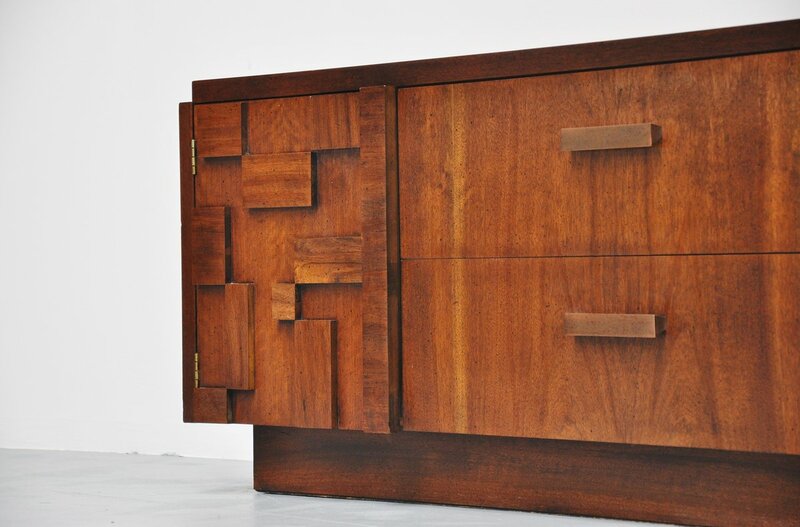 This was made of solid walnut, stained wood. 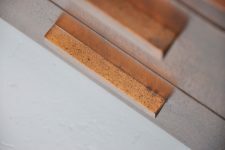 Two folding doors left and right and 2 drawers in the middle with copper handles. 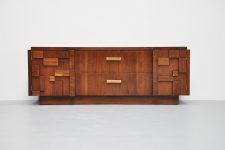 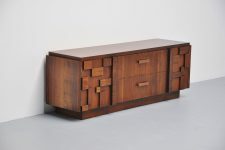 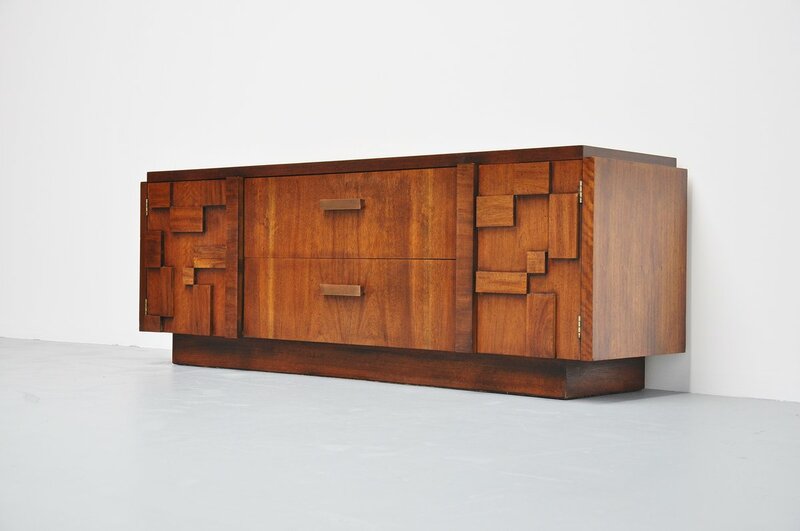 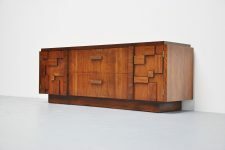 Very nice sculptural credenza with typical American looks.